Always a forward thinking company, the Chrysler Corporation is credited with the first application of four-wheel hydraulic brakes. The company’s engineering department also came up with rubber engine mounts to make its cars run more smoothly. Additionally, Chrysler new cars pioneered the use of the ridged wheel lip to keep the tire in place should it deflate. Further, Chrysler is credited with building the first mass-produced new cars with an eye toward aerodynamics—the 1934 Chrysler Airflow modles. These advanced ideas captured the imagination of the motoring public and pushed Chrysler into the number two sales position behind GM and ahead of Ford from 1936 to 1949. Other firsts introduced with new Chrysler cars include unibody construction, the supplanting of generators with alternators, and the all-transistor car radio. 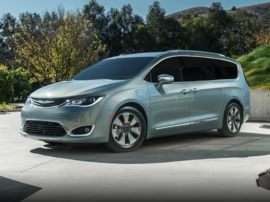 As the company’s brand count grew, Chrysler replicated GM’s pioneering strategy of aiming different brands at different segments of the market. Plymouth became the entry-level Chrysler brand, while new Dodge cars targeted the medium priced segment. The company offered trucks under the Dodge nameplate as well. In the overall hierarchy, new Chrysler models comprised the top model line, and within the lineup of new Chrysler cars the flagship Imperial model was the ultimate offering. Eventually, Imperial was spun off as its own separate brand in 1955, to become the pinnacle product of the Chrysler Corporation. In the 1970’s, financial difficulties drove the company into bankruptcy and Chrysler was forced to seek financial assistance from the U.S. government. However, this development also spurred further innovation. To cut costs, the company developed a near-universal front-drive platform capable of supporting a broad range of new Chrysler models. 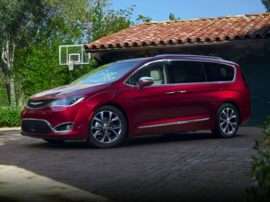 It also revived the concept of the minivan, which became a huge success. Those government loans were repaid seven years early. In 1988, Chrysler “merged” with Daimler-Benz to become DaimlerChrysler—though it soon became quite evident Daimler had bought Chrysler. 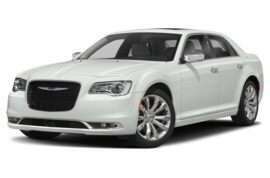 However there were benefits, the wildly popular new Chrysler 300C cars—based on an older Mercedes E Class platform—was a byproduct of that deal. Daimler sold Chrysler in 2007 to the private equity firm Cerberus, although the company was once again on a slippery slope. When the 2008 financial crisis hit, Chrysler found itself petitioning Congress for another loan—this time side-by-side with GM. The Italian company Fiat came to the rescue and Chrysler is today under European ownership and known as Chrysler Group LLC. The company is comprised of the Chrysler, Dodge, Ram (trucks), SRT (high performance models), Mopar, and Jeep new car brands.